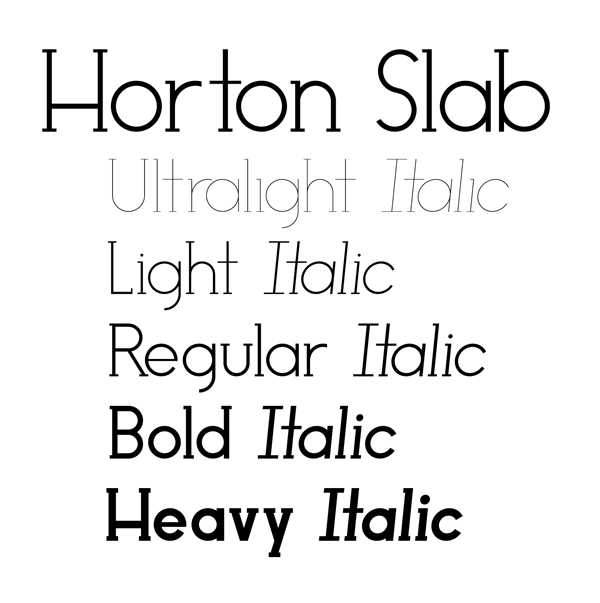 hortont · blog · Horton Slab?! I've spent the last almost-exactly-one week working on my final project for Typography. 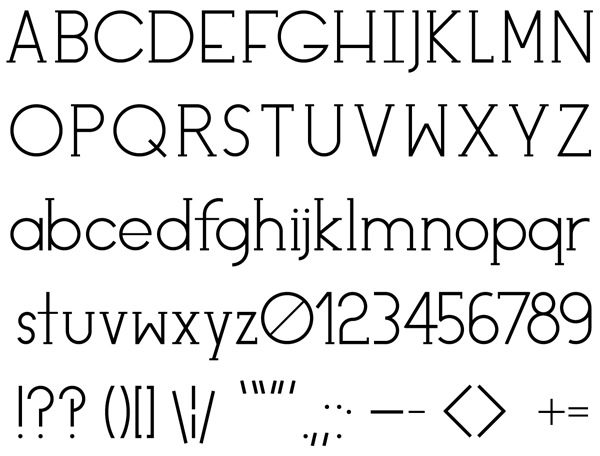 During the first class, back in January, I decided that I'd try to put together a font for my final project. I didn't get started as early as I perhaps should have, mostly because I have other final projects I've been working on all semester, so I decided to take this last week off from other projects and just concentrate on this. Of course, there was no way anyone was going to get me to sit in a room with FontLab for hours on end (it's a horrible program), so I had to come up with something different to do, to make it an interesting project. I eventually decided to try a somewhat different approach: a procedurally-generated font. Horton Slab (and its sans-serif variant, which you won't see here today) is implemented in Python; each glyph is a separate class with knowledge of its properties, and constructs its geometry from this knowledge. This means that — given enough care — you can automatically generate quite reasonable alternative faces (at different weights, with italics, with or without serifs, etc), reducing design time significantly. Most of the ratios in the font are derived from phi, the golden ratio. The ratio of cap-height to x-height, serif thickness to stem thickness, height of the crossbar in A, E, F, G, H, etc. to the cap-height, the depth of the middle of M, and many, many other things. This isn't as strict as it could be, but I sometimes sacrificed phi-ness (the original guiding design property) for readability or beauty. I also implemented a relatively primitive layout engine and an autokerner. There are only a few entries in my kerning overrides table (something like 10) — it turns out that a very simple approach to optical kerning actually works somewhat well. All of the code is available on GitHub as always, and under a BSD license. Everything you see below was designed in a silly XML-based markup that my layout engine accepts, and clicking on them will open the straight-out-of-engine PDF.